Cobbett is gradually becoming a mere name to us, though he is probably the only, or almost the only, Englishman who ever rose to real greatness exclusively as a journalist. We propose to attempt to draw a slight outline of the man and of his most characteristic opinions, taking as our authority the selections made by his sons from his political writings in America and England. Familiar as his name was within living memory, it may be necessary for the information of many at least of our readers to give a short outline of his career. His writings contain, among other matters, materials for a complete autobiography, if any one took the trouble to extract, and arrange in chronological order, the statements which he made, at various times, as to the leading incidents of his life. He was born in Hampshire in or about the year 1765. He was the son of a farmer, and the grandson of a labourer who, as he boasted, lived for forty years in the same service. In 1784 he enlisted at Chatham in the 54th Regiment of Foot, and served in it in the North American provinces, especially in Nova Scotia and Canada, from 1785 to 1792, when the regiment (of which, by the way, Lord Edward Fitzgerald was Major) returned to England. With all these gifts, and especially with a thorough knowledge of both English grammar and the French language, which performed for him the very same office which a classical education performs for young men of a different class, Cobbett applied for, and obtained, his discharge from the army in 1792. He did so, although he had the prospect of receiving a commission without purchase, in order to expose certain frauds which he had detected in the quartermaster's department. In the letter which we have already quoted he gives a long account of his attempts to obtain a court-martial, and of the shuffling manner in which, as he says, he was put off. His enemies afterwards charged him with having flinched from his accusations when it came to the point, to which he replies by charging them with all manner of frauds. Be this as it may, he left the army in 1792, and went to France with his young wife. He was both disgusted and reasonably alarmed at the scenes into the midst of which he fell, for he was in France (though not at Paris) till shortly before the September massacres; and he accordingly sailed from Havre to America, and settled at Philadelphia, where he gave lessons in the English language to the French emigrants. He afterwards began to publish a paper in favour of the Federalists and the English alliance, which was called by different names, and at last Porcupine's Gazette. He carried on in it for several years, furious polemics with various persons, and especially with the unhappy Democrats, whom he lashed with more than all the fury which he afterwards poured upon the heads of English Tories. In March 1795, for instance, after much dwelling on the brutalities of the Revolution, he observes, 'At the very name of Democrat, humanity shudders and modesty hides its head.' He returned to England in 1800, in great favour, as his sons say, with the powers of the day, and he received offers of assistance both from Mr. Windham and Mr. Pitt. He, however, refused them, and shortly afterwards differed with the Government about the Peace of Amiens, the policy of which he disputed. In 1802 he established the Political Register, and continued it till his death. In 1810 he was imprisoned in Newgate for a year, for what in those days was considered a libel, and he went over to America in 1817 in order to avoid the operation of the Six Acts. He stayed there about two years, when he returned to England, and continued his avocations with no other interruption till his death, on the 18th June 1835. It should be added that he sat for Oldham in the first Reformed Parliament; but he achieved no marked success in the House. Such, in outline, was Cobbett's career. We will now attempt to give some estimate of the man himself, and some account of his more characteristic opinions. If we had to take a representative man from each of the three kingdoms, Cobbett, O'Connell, and Walter Scott would be by no means bad men to choose. Cobbett was a model John Bull. He had all the characteristics of the race in an exaggerated form, and the chief interest which now attaches to his opinions, arises from the degree in which they illustrate the strength and the weakness of a thorough-bred Englishman, of much more than average power, but not of more than average enlightenment. Cobbett's great qualities were immense vigour, resource, energy, and courage, joined to a force of understanding, a degree of logical power, and above all a force of expression, which have rarely been equalled. His weakness lay in his incredible self-confidence, his monstrous prejudices, his extreme coarseness and occasional ferocity, and the thoroughly invincible ignorance with which, when he had got any ideas into his head, he clung to them and defended them against all comers. As life went on, his style to some extent degenerated, and became, as the style of all journalists tends to become, turgid and cumbrous; but his best performances are models of vigour and pungency. These qualities, together with his energetic, rather domineering character, are displayed in great abundance in the most unlikely places. Nothing, for instance, can be racier or more amusing than many parts of his French and English Grammars. No other man, in all probability, would ever have thought of making such books the vehicle of the keenest political satire. Cobbett contrived to do so by choosing his examples of bad grammar from despatches, King's Speeches, and other public papers. The French Grammar is as remarkable in some ways as the English one. It contains, for instance, directions for learning the French genders, which are most characteristic both of the energy and of the clumsiness of the man who invented them. Take, he says, a little book, each page of which is divided into two columns. Write out all the masculine words in one set of columns, and all the feminine words in the other, and read them over and over again at odd times until you know them all by heart. The hatred of rules and the readiness for labour which this plan shows—for it was the plan which Cobbett himself followed—are not less remarkable than the fact that, having adopted it when he was a sergeant in a marching regiment, he recommended it to others between thirty and forty years afterwards. It never appears to have occurred to him that, as five French nouns out of six are masculine, a list of the feminine nouns only would have saved five-sixths of the trouble. Illustrations of the peculiarities of his style might be multiplied to any extent. His name, so to speak, is signed upon every page of all his writings. It will be better worth while to attempt to give a short account of the general cast of his political opinions. He was in no sense a party writer. From first to last he expressed his own views in his own way upon all sorts of subjects; and whatever the subject in hand may be, there is one uniform cast of thought about all his opinions, as distinctive as the style in which it finds expression. They changed a good deal as he grew older, more passionate, and more accustomed to feel and to exert the singular powers which he possessed; but the progress of the change can be traced from month to month, and year to year, and it is obvious enough that, under the varieties of opinion which he held at different times, he was always the same man. The leading idea on political subjects in Cobbett's mind was that all legislation ought to have for its object the production of a certain rough kind of prosperity and plenty, diffused throughout the whole population. There never was such an energetic believer in the theory of a good old time, when every man was fed on beef, or at least bacon, and beer, and clothed in good woollens made from the fleeces of English sheep, and in shoes made out of English hides, when there were hardly any imports and very few taxes, and when there were no paupers. He appears to have believed that for several centuries this actually was the state of things in England, and that it had passed away only in very modern times, by reason of the system of taxation, and paper money, and funding, which he never ceased to denounce as the source of every kind of national evil. As he read the history of England, 'the thing called the Reformation' was the source of all our evils. Up to that time things had, on the whole, gone on well, and in particular, the Church had provided for the poor so largely and so plentifully, that there had been none of the grinding poverty which was witnessed in later times. The Reformation he viewed as having been, in a political point of view, nothing but a vast aristocratic job and robbery of the poor. Before that event a large proportion of the revenues of the Church went to the poor. After it the whole went into the hands of private persons or of a married priesthood, who, as far as the poor were concerned, were little better. Still Queen Elizabeth's Poor-law was some compensation, and, notwithstanding the gross injustice which had been inflicted on them, the common people got on pretty well till the aristocracy invented the never-sufficiently-to-be-cursed funding system, whereby they were enabled to live out of the taxes in a constantly increasing ratio. What with constant borrowing, and what with paper money and indirect taxation, which raised the price of all food, drink, clothing, and lodging to an incredible pitch, the poor became poorer, and the rich richer, till at last, towards the time when the Political Register was at the height of its influence, the labourers were ground down to an extreme degree of misery, the old landlords were reduced to poverty, and Jews and fundholders (so he loved to put it) lived in brutal luxury out of the taxes. Nothing in Cobbett is more remarkable than the fact that, though he was regarded for many years as the incarnation of radicalism and revolution, he was no Radical at all in spirit and sentiment; at least he was not what is usually understood by that name. The whole of the Young England theory of things is nothing more than an effeminate parody of one side of his views. He was, as we have already said, the most English of Englishmen, as full of every English prejudice as an egg is full of meat. He always speaks with reverential tenderness of every old institution or building. The old churches and old cathedrals fill him with admiration. He had a great tenderness for the old religion, though he had no love for the despotic or priestcraft side of Popery, which he sometimes attacked in his characteristic style, and he despised Unitarians and Methodists and Jews about equally. Jews, Methodists, and Quakers come off quite as ill. The Quakers are 'base vermin' and 'unbaptized buttonless blackguards.' The Methodists are a 'bawling, canting crew' of 'roving fanatics.' The Jews are 'Christ-killing rascals'; and 'Christkiller ' is his favourite pseudonym for a Jew, if one is to be introduced into an imaginary conversation or semi-dramatic scene in one of his letters. 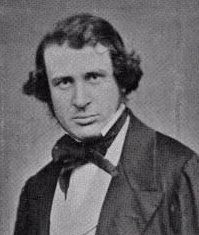 We are acquainted with no English writer who illustrates in a more pointed manner the vein of poetry and romance which runs through every part of the English character, though in a form so strange, so subtle, and at times so grotesque, that it is continually overlooked or mistaken by superficial observers. It requires a far closer knowledge of the John Bull nature than most people possess to understand how the same man should burst into fiery indignation about the baseness of abandoning the perfectly senseless title of King of France, and should observe, 'Talk of "liberty," indeed, "civil and religious liberty," the Inquisition with a bellyful is far preferable to a state of things like this,' and declare elsewhere that the religion for him was a religion which filled people's bellies. It is most remarkable that Cobbett, who passed his life in the most passionate advocacy of Radical Reform, and who denounced rotten boroughs and all the works of borough-mongers, fundholders, stockjobbers, and other 'wen devils,' every day and all day long for some forty years, was opposed to all characteristically liberal measures. He denounced schemes of popular education. For instance, in December 1813, he published a letter to Alderman Wood 'On Teaching the Children of the Poor to Read,' the gist of which is that there is nothing wholesome for them to read, and that they had much better not learn. They cannot understand the Bible, and the newspapers are all corrupted by the Government. In another letter he says that, in his experience of the army, he always found that the scholars in a regiment were 'generally dirty and drunkards,' 'the conceit makes them saucy'; and their characters are so bad, that men who can neither read nor write are frequently made non-commissioned officers, because of the superiority of their moral character, notwithstanding the inconvenience of their ignorance. In much the same spirit of bigoted love to all that was old-fashioned, he admired the old laws against forestalling and regrating, and considered shops a mischievous innovation upon the good old fashion of fairs and markets. His view of facts was as much perverted by this state of mind as his theories. He continually maintained that it was a gross and ludicrous error to believe that the population was rapidly increasing. A man who could believe in the correctness of the census returns would be capable of believing that the moon was made of green cheese. These were a few of the most important and characteristic of the political views of this remarkable man. They are interesting at present, chiefly because they show the cast of thought, which gave the most popular of all English political writers a greater hold over the minds of a larger section of his countrymen, than any other writer of the same class ever had for an equal time, and because they thus afford decisive proof of the strength of Conservative tendencies in this country, even at a time in which party feeling ran higher than it probably ever did at any other period in our history. No one ever attacked either individuals or classes in this country with such unsparing violence as Cobbett, and yet his attachment to what he regarded as the genuine constitution of the country was undoubtedly sincere, and was exceedingly strong. He goes so far as to speak with kindness, and even with a certain sort of regret, of the feudal system. When the matter is considered attentively, it is obvious enough that the doctrines which we are so much accustomed to see recognised, professed, and extolled in all directions—the doctrine of universal competition, free-trade, religious equality, and the like—however true they may be, are popular only by accident. They are not the natural and appropriate creed of the great masses of the population. Liberalism is in many respects an aristocratic creed, inasmuch as the essence of it is to produce a condition of things in which the energies of every individual will have the fullest possible scope, and produce the most permanent results. The vigorous man will, under this system, get a maximum of advantage from his superior strength, and will transmit to his descendants the advantages which he has acquired. The apparent tendency of unrestricted free-trade and unlimited competition is to throw wealth, and everything that depends upon and is derived from it, into comparatively few hands. What the average man likes is an artificial system which provides as large a number of persons as possible with a reasonable level of comfort. When people talk of good old times, the state of things present to their imagination, rightly or wrongly, is a state in which there was less trouble and anxiety, and fewer vicissitudes in life, than in the time of which they are speaking. The ideal age of most men is an age in which the common run of people got along pretty comfortably, without much trouble. It does no doubt so happen that, in our own times, the extraordinary inventions which have changed the face of society, and have poured over us a flood of wealth unexampled in former times, have produced a state of feeling to which we are so accustomed that we do not see that it is exceptional. There never was an age in which the go-ahead spirit was so powerful, but even in these days there are considerable exceptions to this state of feeling. Trades' unions are a good illustration. They show that the great bulk of the class of mechanics have hardly any sympathy with free-trade, and comparatively little ambition. Let us, say they in effect, have fair wages and short hours, and let both time and wages be regulated by the work of the average man, not by the powers of those who rise above the average. What degree of truth was there in these views? The question is one which could be adequately discussed only in a large work spreading over a great variety of subjects, but one remark about it may be made with confidence. Cobbett altogether overstated his case, and pertinaciously shut his eyes to the real progress which the nation was most undoubtedly making in the midst of much suffering and a great deal of jobbery and corruption. The vast load of indirect taxation was no doubt cruel and mischievous. The abuses of Government were very great, but, notwithstanding all that, the wealth of the country did increase enormously, and so, whatever Cobbett thought about it, did the population, all through the great war and down to our times. He put his finger on the real evil when he complained of the way in which property is distributed, and when he pointed out the excessive hardship upon the poor of the system of indirect taxation; but he was mistaken when he underrated the powers of production in the country, and was utterly wrong when he denied its increase in population. He was also wrong, as it appears to us, in the notion that it is possible, by any artificial means, to arrest the natural progress of society, and to make the general diffusion of rough plenty the principal ideal of such a nation and such an age as our own. We have given only a slight outline of one part of Cobbett's views. His occasional writings on all manner of practical subjects are eminently characteristic, and for the most part, well worth reading. Whoever wishes to get a vivid picture of the man, his thoughts, his views on all subjects, and his personal adventures, intermixed with most picturesque and beautiful descriptions of every part of the country, and of most classes of its inhabitants, may find all this, and much more, in the Rural Rides—a delightful book, with all its occasional coarseness and ferocity. We have omitted all notice of Cobbett's wars with private persons, many of which were exceedingly violent. They make up a great part of his writings, but their interest has now entirely passed away. To those who are accustomed to the gentler manners of our own time they are wearisome, and sometimes disgusting. We have also left unnoticed many of his special opinions, and many of the recommendations which he made from time to time. They are characteristic enough, and in some cases very absurd; but they were made under violent excitement, and may as well be forgotten. Saturday Review, July 7, 1866.